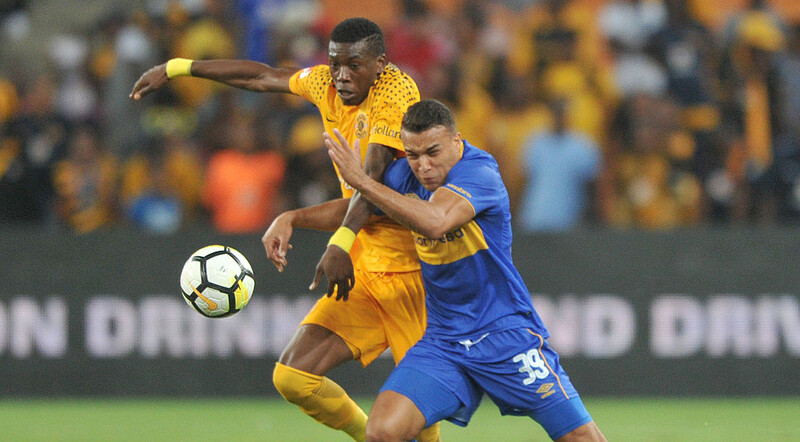 Cape Town City will aim to add to Kaizer Chiefs� woes in the Absa Premiership when the teams meet at Cape Town Stadium on Saturday, 15 September 2018. City come into the game having played to a 2-2 draw away to Free State Stars in their last league outing. The Cape side needed winger Craig Martin to force a last-gasp equaliser in Bethlehem as they record a second successive draw. The Citizens have picked up four points from their two home matches so far this season, beating SuperSport United 2-0 and drawing 0-0 with Golden Arrows. Chiefs� saw their winless start to the league season extended to five matches when they allowed Bloemfontein Celtic to come from two goals down and claim a 2-2 draw in Soweto on August 19. The Amakhosi have drawn all three away matches thus far in the campaign, holding Mamelodi Sundowns (1-1), Baroka FC (1-1) and Maritzburg United (0-0). In head-to-head stats, City and Chiefs have met in four league matches since 2016/17. The Amakhosi have claimed two wins compared to one for the Citizens, while one game has been drawn. The Cape Town side has recorded one win and one loss from two matches as hosts in the rivalry. Chiefs completed a league �double� over City last season, winning 2-0 away thanks to goals from Siphiwe Tshabalala and Wiseman Meyiwa, and 1-0 at home with a strike from Ryan Moon. City�s line-up from their 2-2 draw with Stars on August 29: Leeuwenburgh, Cupido, Mngonyama, Kouassi, Edmilson, Matsi, Putsche (Nodada 46�), Patosi (Seedat 65�), Martin, Links (Nana 78�), Rusike. Chiefs� line-up from their 2-2 draw with Celtic on August 29: Bvuma, Mphahlele, Ngezana, Cardoso, Ntiya-Ntiya, Katsande, Ntshangase, Malope (Jayiya 71? ), Billiat, Zuma, Castro. �We need to move forward � this is life, this is football. I am here one month and a half, I don�t have a magic stick,� said Solinas in the wake of their defeat in the MTN8 semifinal. �We need to work hard, we need time and I�m happy with the boys because, in my opinion, in the future this team can give the satisfaction. Matthew Rusike � The Zimbabwean striker will be coming up against his former team and will be determined to impress. Rusike is not a prolific scorer, but his movement and link play with midfield is a key part of City�s game plan. Roland Putsche � The Austrian midfielder is a consistent performer for City and will be one of their key men for this battle against the Amakhosi. His energy, passing and composed presence are characteristic of his play. Khama Billiat � With Chiefs in need of inspiration to end their winless streak, Khama Billiat is surely the man they will look to. The skilful attacker has the knack of upping his game for big occasions and this high-profile clash in Cape Town may bring the best out of him. Lebohang Manyama � The new Kaizer Chiefs signing may make his debut against his former team this weekend. Manyama and fellow new recruit Mario Booysen will both be hoping for playing time when the Amakhosi face the Citizens.